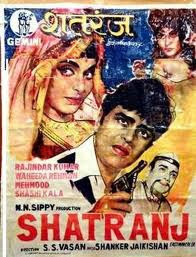 Shatranj is proud as punch to be another in a long line of ‘so crazy it almost makes sense’ Indian spy thrillers. 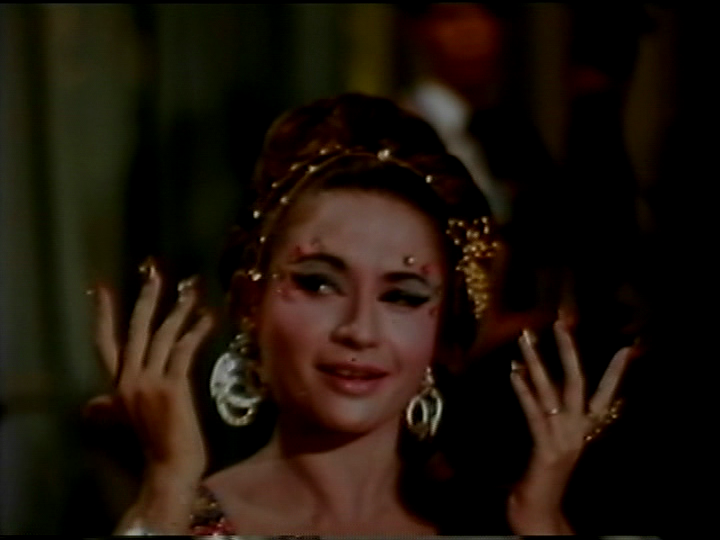 S.S. Vasan appears to have a healthy aversion to restraint, and with a top notch cast and Shankar-Jaikishan providing the music, there is no reason to be reticent. 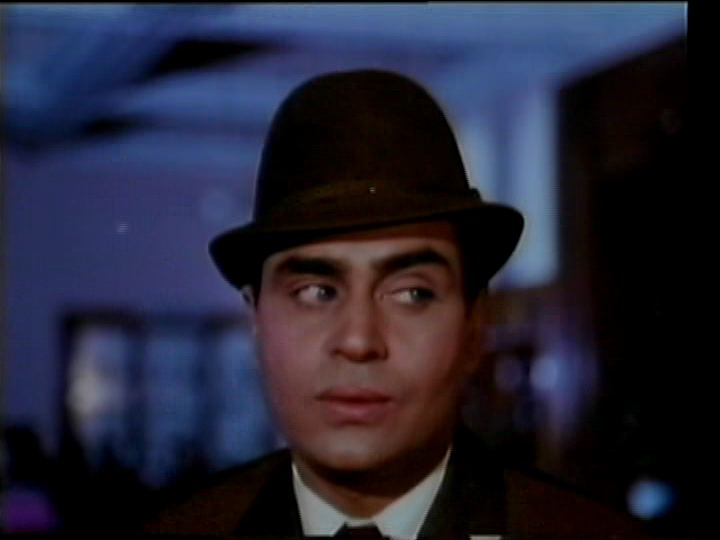 Jai (Rajendra Kumar), also known as The Indian is an international man of mystery. He seems to have full time employment searching the globe for Indians being held captive by foreign governments who shall not be named. 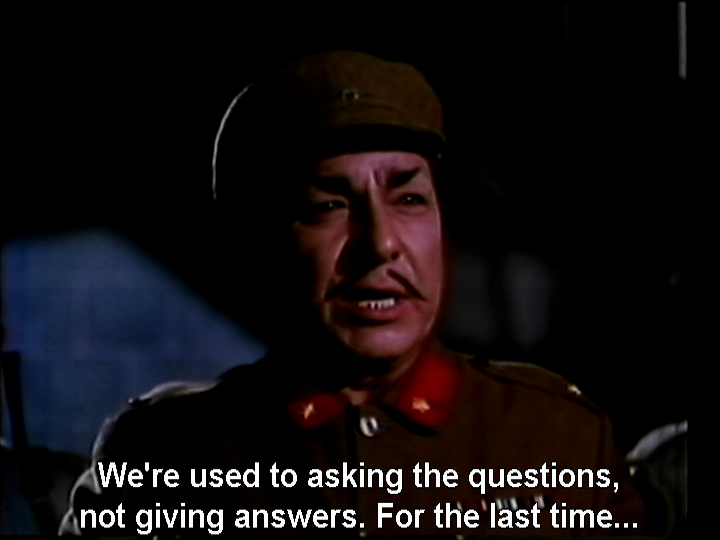 He is asked to find Meena (Waheeda Rehman) and her mum (Achala Sachdev) who have decamped to Another Country That May Not Be Named and show no signs of coming home. 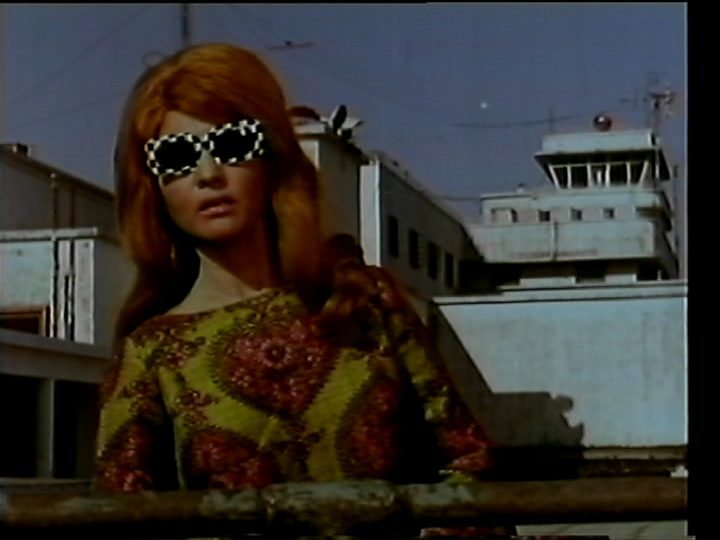 Amir (Mehmood) and Salma (Helen) are on the side of Good, Susie (Shashikala) is a stylish Bad girl and stunts and schemes abound. Jai travels to Hong Kong and thence by boat to The Mysterious Land With No Name. I do wonder where it could be. 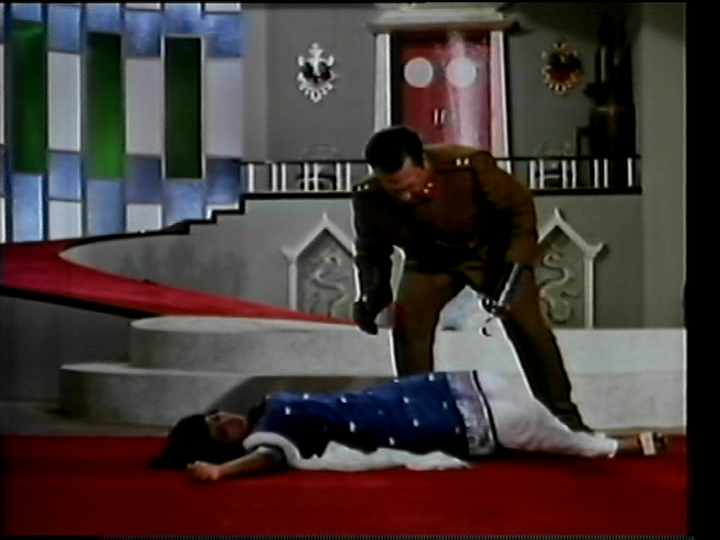 Many hijinks ensue as Jai plays merry havoc with his adversaries General Ko Lum, Zing (or Singh, depending on the subtitle team’s mood and level of nationalist fervour), Chang, Lee Jung, the constantly knitting Madame Chun Qing Lee, et al. If only there were clues as to which country this could be set in. Maddening. 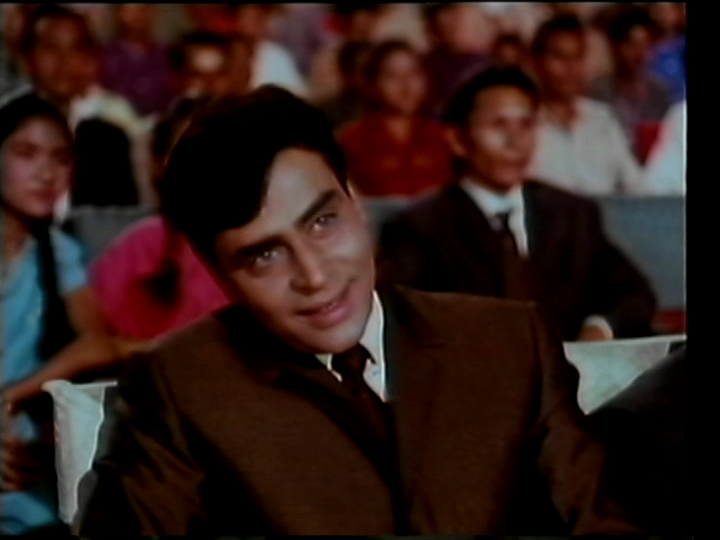 I am lacking the Rajendar Kumar Appreciation Gene but he does OK as Jai, generally playing for laughs rather than milking the drama. Jai has a well provisioned den and a comedy sidekick, proof that he is no novice in the international spy game. There is an over reliance on blue contact lenses in lieu of a proper disguise, but the wig department got to de-mothball a few favourites. 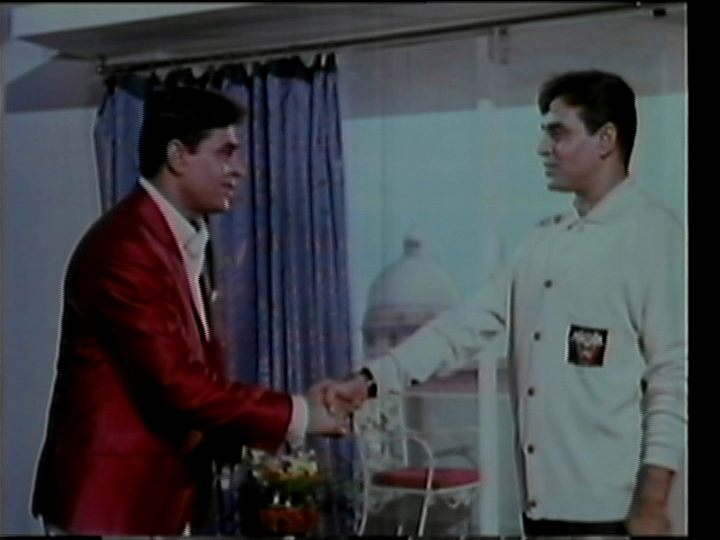 Rajendra Kumar cannot, nay should not, dance but he is upbeat and energetic which is something I suppose. He has no chemistry whatever with Waheeda Rehman and she knocks herself out trying to emote enough for both of them in the romantic scenes. Meena is a good girl and both Jai and her mum think that means she is too sweet and dumb to ever tell her the truth. 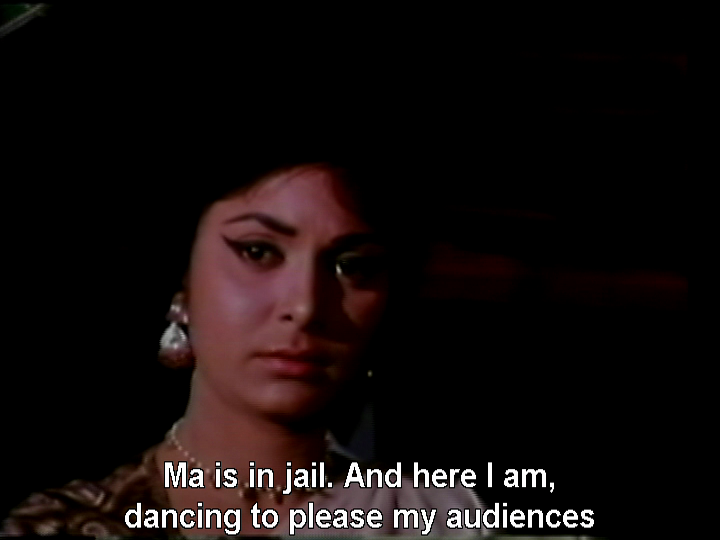 Apart from the picturesque moping, Waheeda gets some excellent dance numbers and that gives her a chance to show Meena as cheeky and energetic rather than the limp tearstained captive. 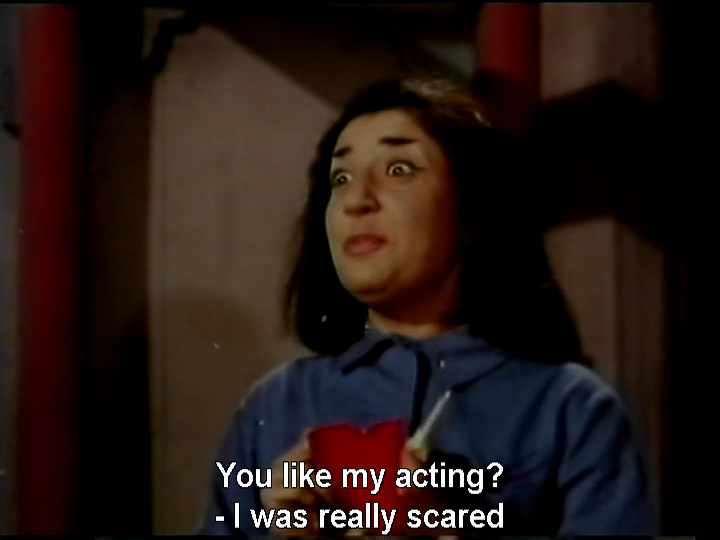 Waheeda has just the right expression of patient misery for Meena. 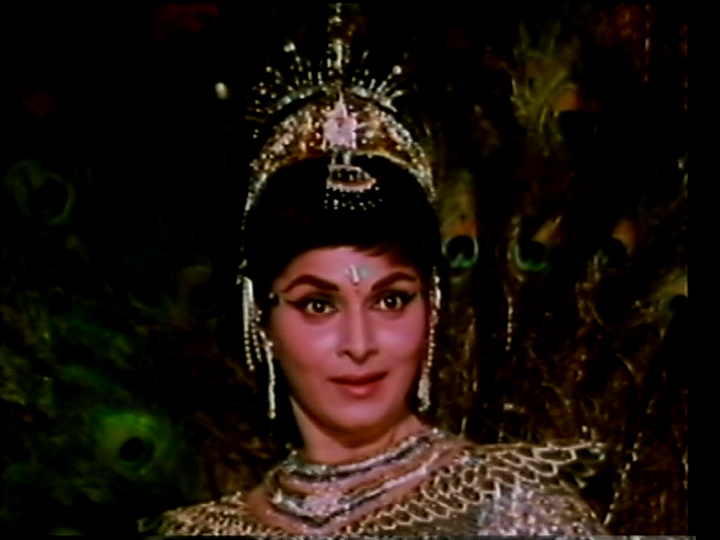 And her ‘I’m a hot peacock in sparkly pants with an eye for the ladies’ expression is also memorable. 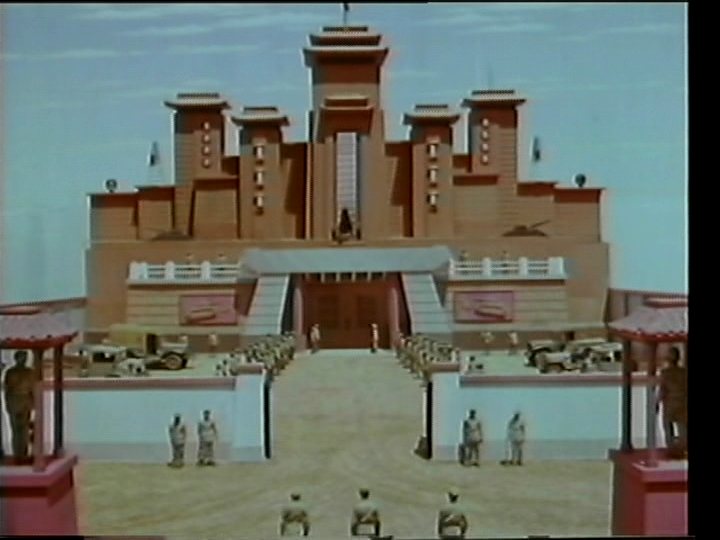 Among the things I love most about vintage spy thrillers are the lengths to which they go to explain things, and the excellent interior design and fashion. There was either a commitment to ensuring mutual understanding or total lack of imagination going on when they handed out the codenames. 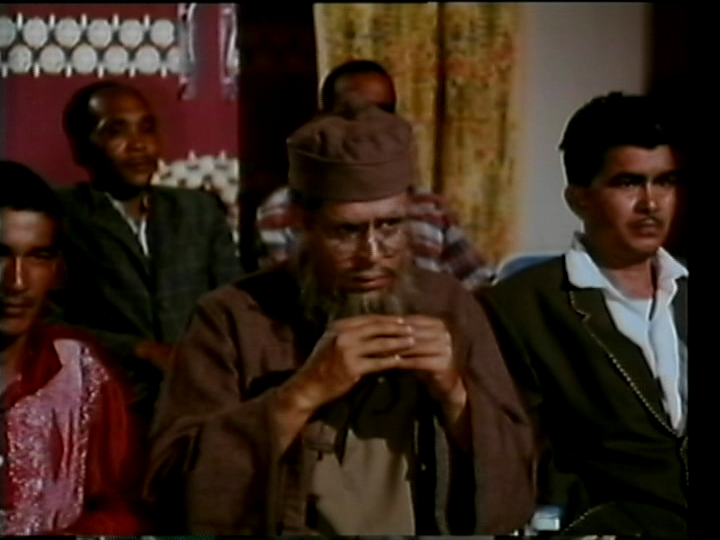 Jai was The Indian, the guy in dark glasses is Mr Dark Glasses and Shashikala in her wig is Miss Golden Hair. 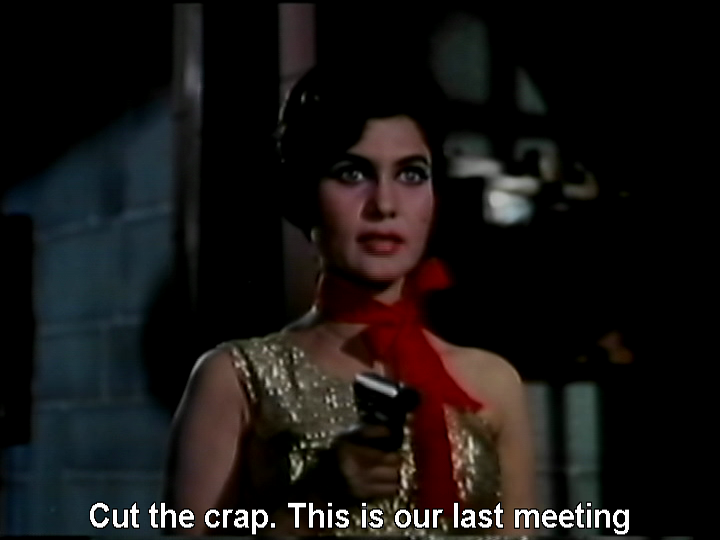 The plots and doublecrosses are explained loud and clear, often with a side of comedy mime from Mehmood. There are truly excellent telecommunications devices and an amazing screen of secrecy. Things light up, go whoop-whoop and beep-beep, and stick on moustaches and rubber masks are a dime a dozen. Is it a truly secret lair if people see you ducking in and out via the revolving secret door? Really? Helen and Mehmood look like they enjoy working together. Maybe they’re just amazing actors. 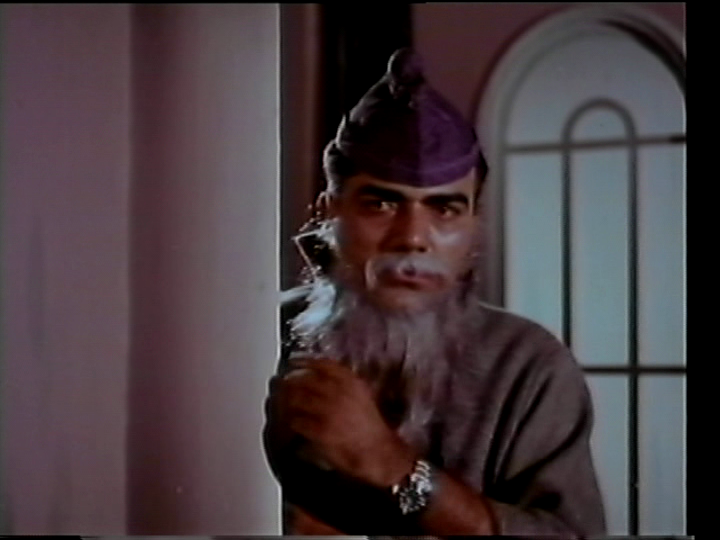 Mehmood gets to confuse the spies watching Jai, so the real Jai can sneak over to rescue the ladies. 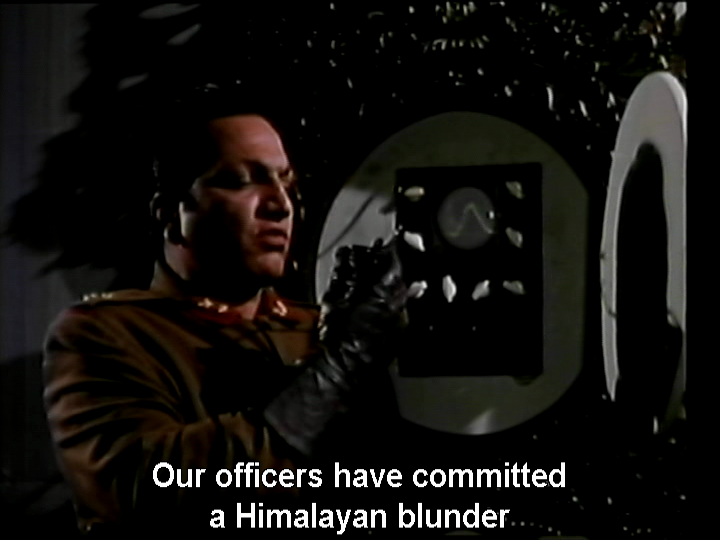 I do like that Mehmood always answers the phone and top secret radios with Alooooooo rather than the traditional Hellohellohello. Amir is both a bumbling fool and a competent gentleman’s gentleman (or beloved lackey). I like Mehmood best when there isn’t too much of him and because there is so much everything else, he is neatly contained. 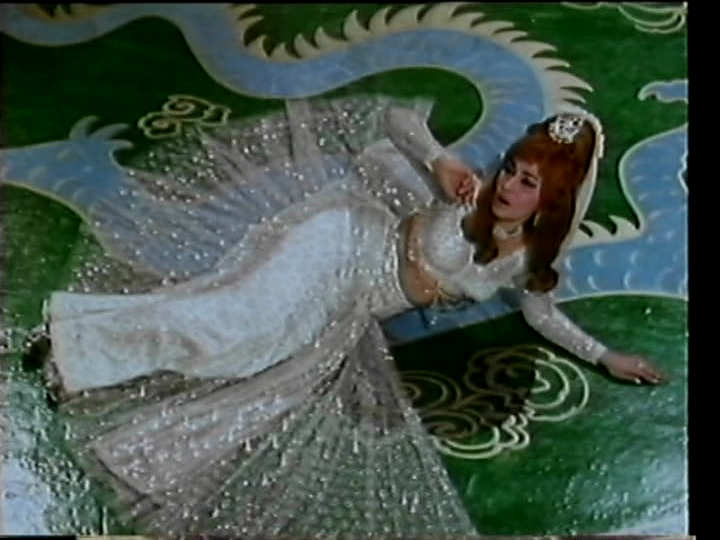 Helen is Salma, a very charming and fun sidekick burdened with the sad fate of loving Amir (Mehmood). On board a ship between Hong Kong and The Unidentifiable Country, Helen flamencos like a mad thing which is an excellent cover as no one seems inclined to enquire too closely as to her career plans or immediate spy type objectives. Jai tells her to go undercover at his hotel, as (what else) a cabaret dancer. When he arranged to be introduced to her as Shin Raz, a businessman, Salma simply purred “A businessman? How boring!” and sauntered away with a cheeky smile. It’s a great fit for Helen, and she doesn’t have to die to be redeemed as she is already on the side of the angels. The songs are a sheer delight. Whether used in snippets to set a mood or full on production numbers, the music is a highlight. Even Mehmood gets a share of the musical goodness in one of my favourite dances with Helen, plus a strange mournful dirge about charity that suddenly grows a poppy guitar melody. And how about that? 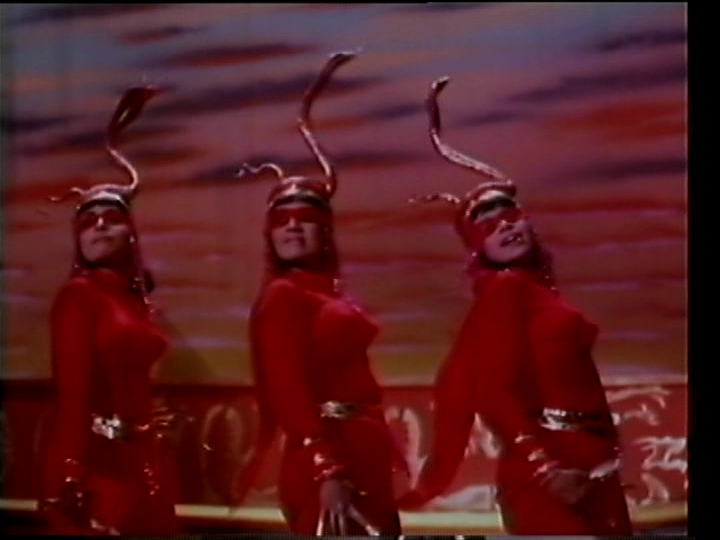 Yes I know that song is a direct copy of South Pacific but Rogers and Hammerstein missed an opportunity to have the devil bunnies and snake ladies in their musical. Although I’m very OK with missing out on the high pitched screechy ethnic stereotypes. 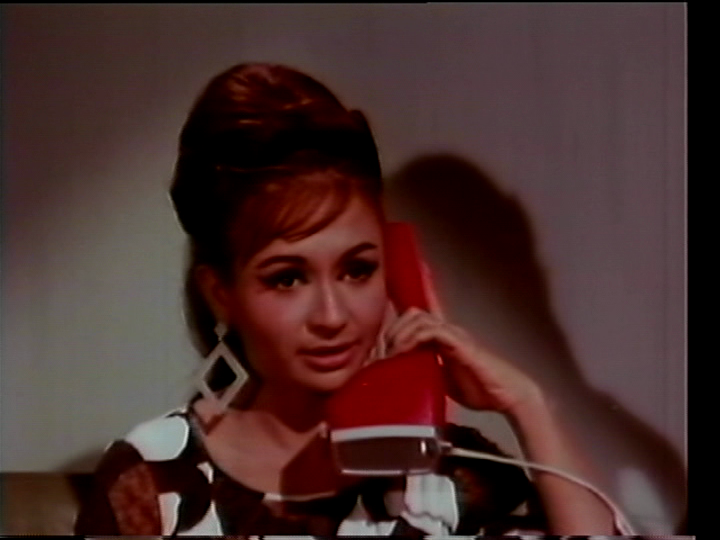 And it even works as part of the narrative, as Meena bemoans her fate as a lonely stranger in a strange land (the one that cannot be identified). If you only watched the songs you might think this was a film about a man with dozens of children, multiple wives who were all cabaret dancers, and a drunken stalker addicted to bad disguises. So you really need to see the whole thing and appreciate the verve and dedication to the craft of the spy film. Shatranj never fails to put a smile on my face. 4 stars! 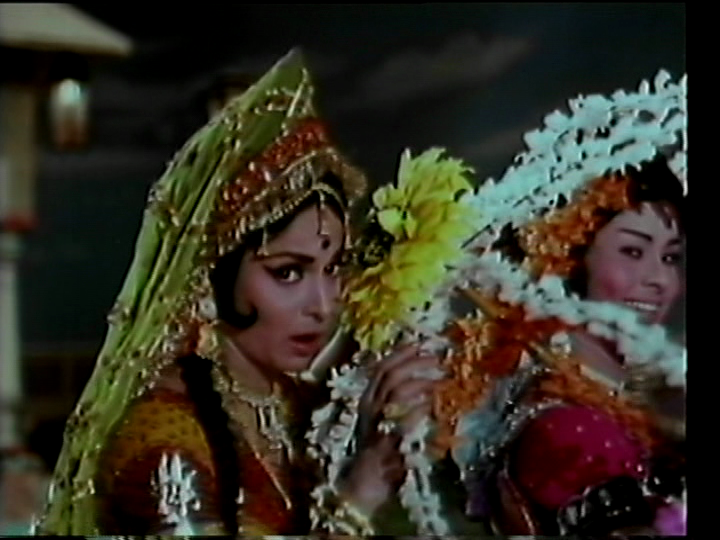 This entry was posted in Bollywood and tagged Achala Sachdev, Helen, Hindi, Mehmood, Rajendra Kumar, S.S Vasan, Shankar-Jaikishan, Shashikala, Waheeda Rehman. Bookmark the permalink. 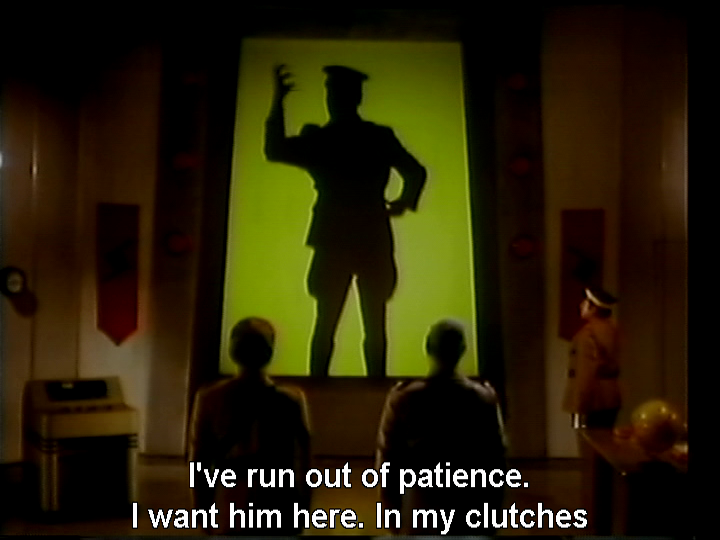 Especially: S.S. Vasan appears to have a healthy aversion to restraint, and If you only watched the songs you might think this was a film about a man with dozens of children, multiple wives who were all cabaret dancers, and a drunken stalker addicted to bad disguises. I also like the fact that Helen does not need to die to redeem herself. Hallelujah! Thanks Anu! I do enjoy a fun spy vs spy caper so this is my perfectly made cup of tea. 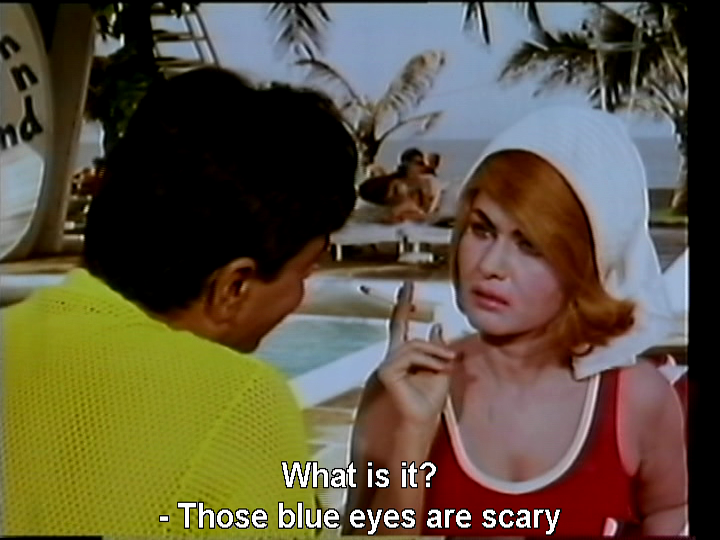 Even with Rajendar Kumar dancing around in short shorts. Hmmm…maybe you should just watch the songs 🙂 And the curse on your comments seems to still be in abeyance – that deserves a resounding Hallelujah! I agree with the BUT RAJENDRA caveat. 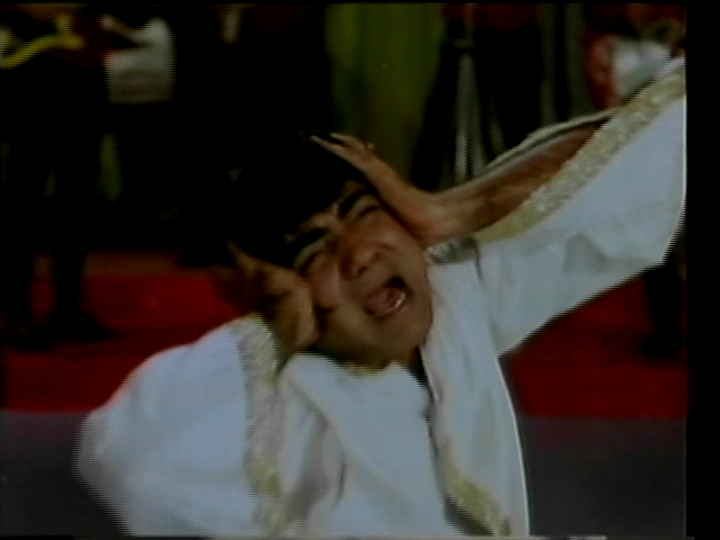 Still, I might watch it for Helen and Mehmood, which I *feel* like so far has been a winning combo in my book….but maybe I’m just basing that on Gumnaam and the fact that Mehmood is one of the only comic relief actors I actually am relieved to see. Overall, this looks like a much watch for me. Thanks for the review!